Dar Tamazerte is 28km outside Marrakech on the Ourika Valley Road. 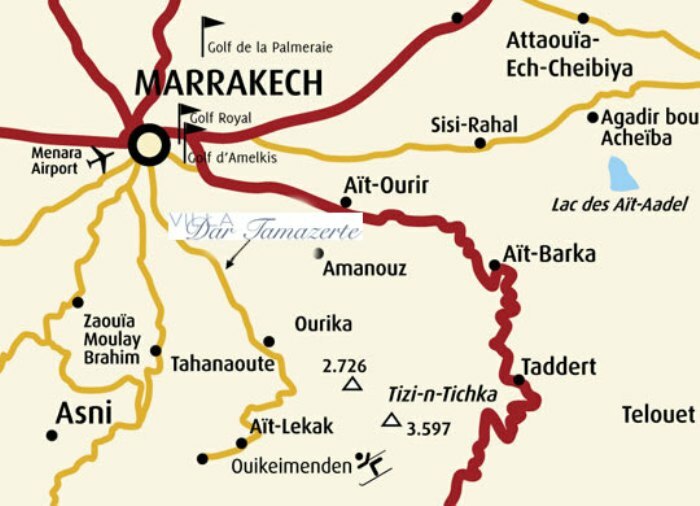 It’s location in a small olive grove in the foothills of the Atlas mountains provides peace and tranquillity whilst giving easy access to Marrakech and to the surrounding area. Prices vary and are usually between £100 / £150 return.